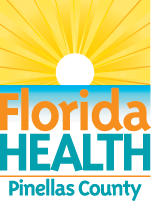 The 2012 Pinellas County Community Health Assessment (CHA) provides data on health, community perception, and quality of life in Pinellas County. The reports and supporting documents provide an in depth look at Pinellas County, using primary and secondary data derived from four assessments. A Community Health Improvement Plan (CHIP) is a long-term, systematic plan to address public health problems in a community. The purpose of the CHIP is to define how DOH-Pinellas and the community will work together to improve the health of Pinellas County. It provides the link between assessment and action.